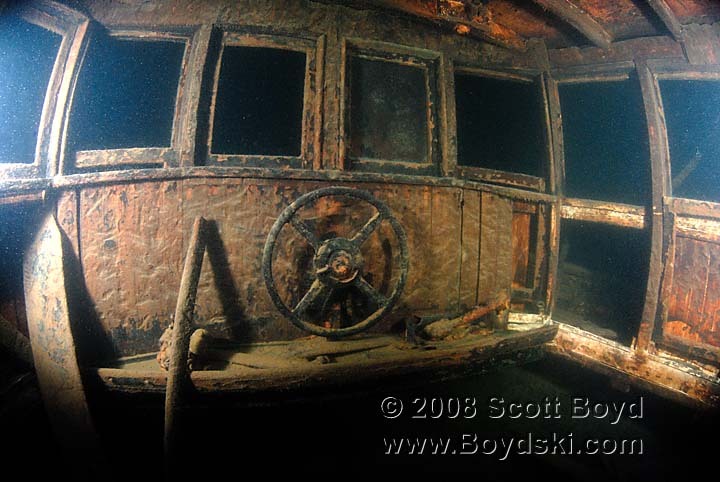 The wreck of the fishing vessel Sonny is a very pleasant dive back into history. The 38' wood hulled vessel is remarkably well preserved by the cold, dark waters of Lake Washington. Located at the south end in only 120 feet of water, it is also a fairly easy dive, as far as dives in the Lake go. We had spent the last three weekends in the lake, finding several new wrecks, but every one appeared to have been scuttled. We found several barges, a tug, and a couple of pleasure craft, but all were missing engines and had been stripped prior to sinking. The Sonny stands proud and upright on the bottom of the lake. Her propeller and engine are still in place, as is a some of her deck machinery. 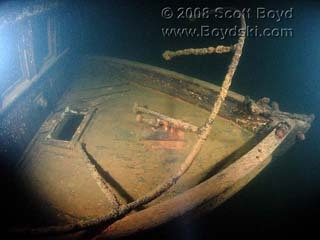 The rudder still moves easily to the touch, and a large fishing boom lies on the bottom off of the port side. The wiring on the boom is quite old, aluminum with some type of canvas/cloth insulation. The wheelhouse is quite picturesque, so much so that I had to make a second dive on the wreck to get some pictures. 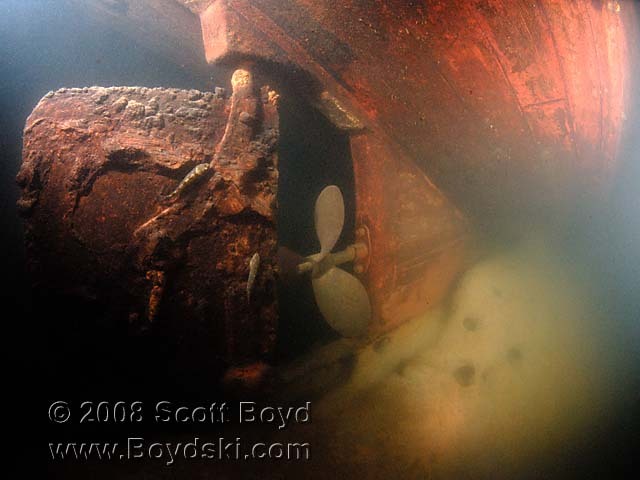 Viz was pretty good, you could actually cover your light and still the wreck, which is very unusual for this depth. The floor of the wheelhouse had collapsed, exposing the engine, transmission and running gear below. Just aft of the wheelhouse, a power driven hoist once pulled heavy items up and down the boom. 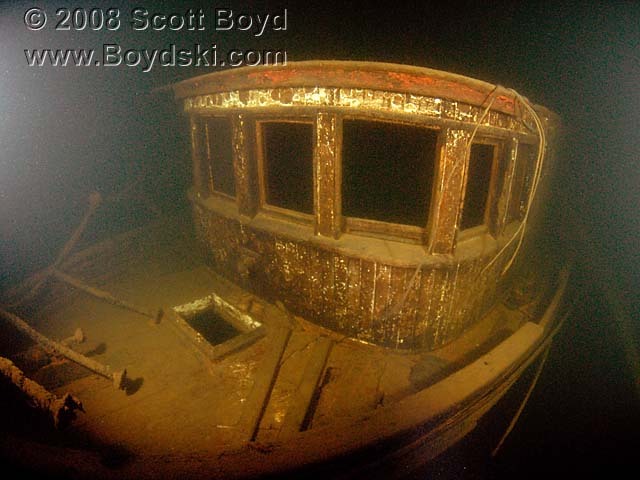 The Sonny looks a lot like a tug, but the only large bitt is forward of the cabin, and the large boom indicates she was used for hauling nets, or something similar at one point in her career.